No other game gets your adrenalin going than the arcade games. They keep you hooked to the screen and each successful mission or high score accumulation brings in that sense of accomplishment. For the arcade game aficionados Facebook has got some wonderful games in its kitty and the site keeps on adding new wonderful games in this category. Here we present before you top 5 arcade games on Facebook 2013. Stick Run is a simple, yet engaging arcade game developed by Manuel Otto. 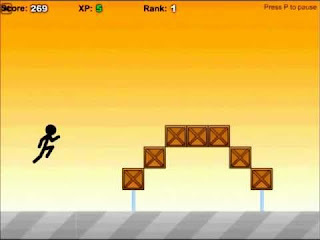 The user here will be controlling a stick man whose objective is to run indefinitely without colliding with any of the obstacles coming in the way. There are multiple levels in the game, each one more complicated than the earlier one. Other features of the game allow you to customize the stick man, upgrade the items and also play in multiplayer mode, along with challenging your friend. 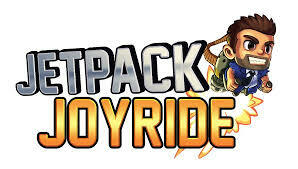 It is a popular arcade game which has been developed by Halfbrick. The principal character of the game is Barry who has to steal the experimental jetpacks from the labs of evil scientists. As a user you have to complete different missions that are given to Barry. The game has got some wonderful features which make it very much addictive. Some of them include getting new cool gadgets from the store through the coins, changing vehicle while flying and donning new outfits. The controls are very easy and one need not take much time understanding them. Angry birds is a hugely popular mobile game and the above game is one of its variants specifically for Facebook users. The basic gaming is still the same and involves different sets of birds taking revenge from the pigs who have stolen their eggs. 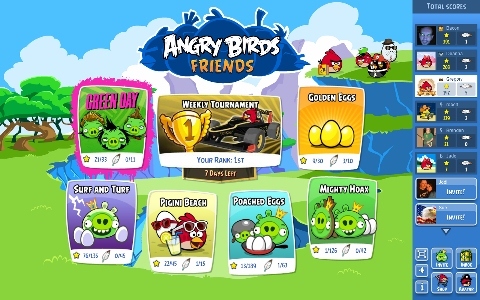 Not only the game has got different modes, but you can also compete with your friends. The complexity increases in the game as you proceed from one level to other. New birds are introduced in the upper levels. This is one game which is going to keep you hooked to the screen. This game has been developed by Halfbrick and has a fairly easy premise. There is a ninja character in the game that has to slice all the fruits coming his way. The more the no. of fruits sliced, higher the points the player get. But you need to pay attention as some bombs also come along the way and cutting them would put an end to your journey. As you move forward, new powers and abilities are added to the ninja character. The player can unlock new challenges on the way and can also win combos. This is another easy, yet very engaging arcade game on Facebook. In it you are a runner who has to cross multiple hurdles by running, jumping or climbing. Of course you need some time before you can master all the athletic activities needed to score well in the game. Then there is the option of making the character perform the extra ordinary stunts through the controls. The moves are parkour inspired and that adds to overall experience.